So get this week's important news by watching the 5 minute video here right now. YouTube announced this week that channels with at least 1,000 subscribers can now live-stream from mobile devices! Previously only channels with 10,000 or more subscribers could live stream from mobiles. Live-streaming is an amazing way to connect with your audience. It allows you to get instant feedback that you don’t get from traditional video uploads. Over the last few weeks many big companies like PepsiCo, Walmart and Starbucks have stopped advertising on YouTube’s digital ad network. The reason for this is because ads were found to be running alongside videos promoting hate, violence and racism. Initially Google announced they would introduce new controls for digital marketers to better target their ads, but that did little to stop the boycott. 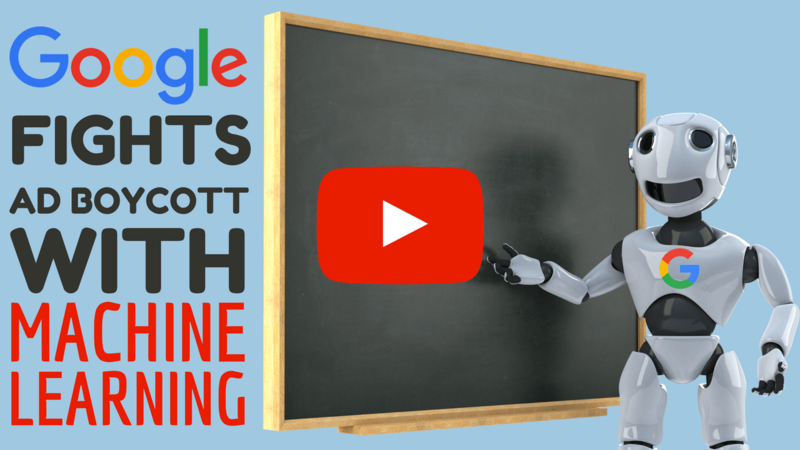 Google have now announced they are ramping up their AI and machine learning in an attempt to stop brand ads appearing next to offensive content on YouTube. In addition to this, a Google spokesperson told AdNews this week that they will be working with third-party companies accredited by the Media Rating Council to conduct ad verification audits. Facebook have announced a new ad format called ‘Collections’. This new ad format has been designed for retailers to promote their products on mobile devices. Collections are built around a "primary video" or image. When a user clicks on that video or image, they are taken to an immersive, fast-loading page that can include up to 50 products. If the user taps a specific product, they are redirected to the product page on the retailer's own website or app where they can complete their purchase. The new ad format has faster loading than traditional formats, which is great for user experience. Brands like Tommy Hilfiger have reported a 200% increase on ROI when using the new Collections format! Weston Henry, lead security analyst at security firm SiteLock said “They have stolen the code from an existing SEO plugin and tweaked it to appear legitimate. That way, should a WordPress site owner poke around and look for suspicious activity, they might easily overlook it as a legitimate SEO plugin”. So how can you protect yourself from attacks like this?